Delta/WestJet and United/Air Canada are currently engaging in a nice little fare war on their flights from Vancouver to New York City. It's been a while since Vancouver has had really amazing prices to NYC. $375 CAD roundtrip including taxes, into Newark's EWR airport. Non-stop both ways. 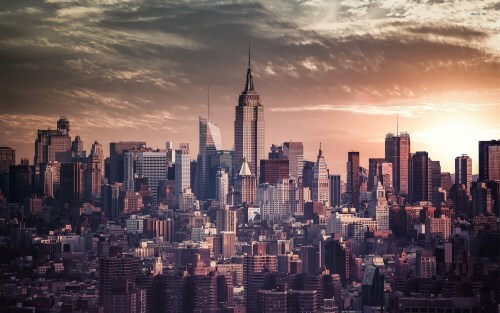 $382 CAD roundtrip including taxes, into JFK airport. Seems to be a mixture of non-stop and 1-stop availability. At the time of this post, these are not showing up in all online booking systems just yet. The prices displayed on Priceline.com will be in $USD, ranging from about $303 to $313 USD. When you book with a Canadian credit card, the charge should work out to approximately what I've listed above. With limited dates, these probably won't last long. Hopefully a few more dates open up with these prices! NOTE: Instead of entering JFK or EWR into the Priceline search box, you can also try using NYC. This will search all 3 of New York's airports at once, and give you options that fly into one airport, and out of another. For live discussion of this deal, or to get some amazing travel advice (to anywhere) from 24,099 real travelers in Vancouver, join us in the YVR Deals Facebook Group. Special thanks to Rishi 'The One' Modi for being the first to spot this deal and share it with the group. vancouver, yvr, flight deals, westjet, air canada, delta, new york city, ewr, united states, jfk, united airlines, north america, new york and eastern united states. 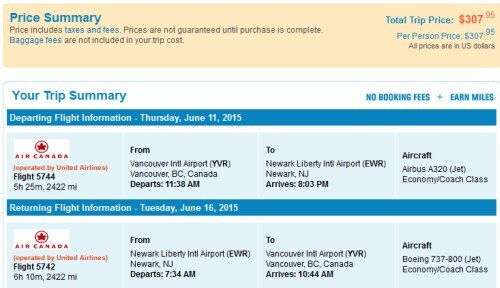 One Response to "Vancouver to New York City | $375 roundtrip including taxes | non-stop in May & June 2015"